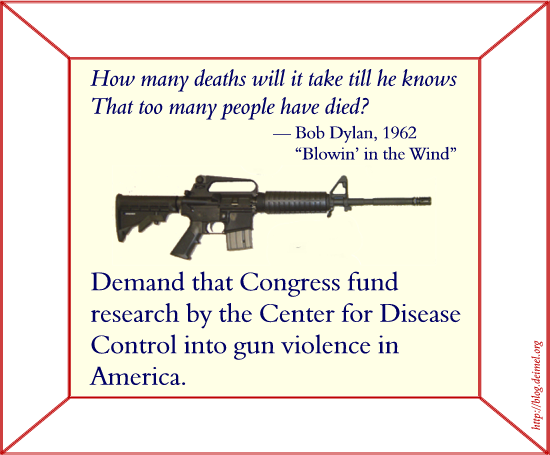 Gun violence in America has reached epidemic proportions. All Congress has been able to do is to offer prayers and moments of silence. 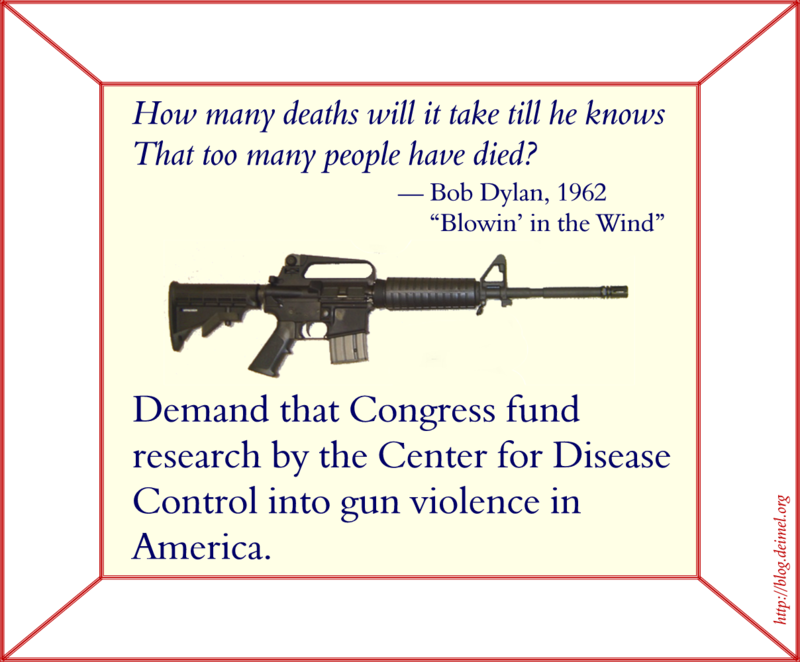 Not only that, but Congress has prevented the CDC from collecting gun-related statistics and doing research into ways of decreasing the toll that guns have taken on Americans and the American psyche. It is time for Congress to say “no” to the NRA and do what is logical and right. After all, good public policy is impossible to craft when we insist on not knowing the relevant facts. 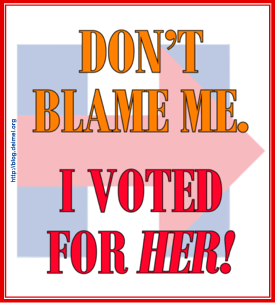 If acting responsibly costs a few Republican seats, it will be a small price to pay (not to mention poetic justice). Feel free to copy the image below or the larger version of it available by clicking on it. I remember reading about Congress's defunding that research. I think it was a good bit more than 10 years ago. I can't remember the NRA's reasoning. Glad someone is working to get reinstated. Who is it that's working on it? I have heard about it in the news lately, but I don’t know that anyone is really working on it. I completely agree that we must at least study the affects of gun-related violence. I believe guns are similar to cigarettes 60 years ago. Cigarettes were cool. Society catered to smokers. It was unthinkable that cigarettes would in any way be regulated. Now we have changed the culture. Cigarettes are not illegal - they are regulated and their users are frankly seen as uncool and chained to a terrible habit.